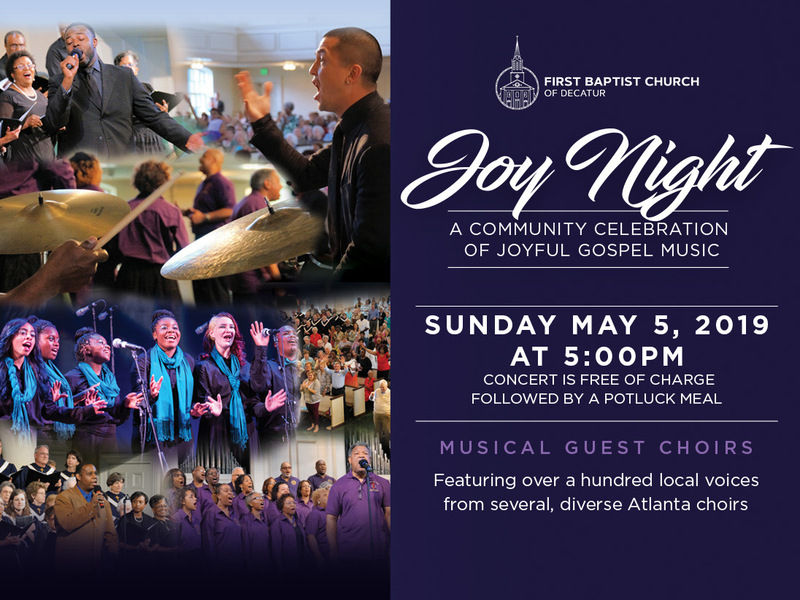 First Baptist Church of Decatur presents their second annual celebration of joyful gospel music, “Joy Night” on May 5th at 5pm. Many exciting musical groups will be joining us including Kevin Styles and Psalms, Decatur High School, St. Paul’s Episcopal Church, Greenforest Baptist Church, and Malissa Mckennie, Pastor at We The Family Christian Community Ministries. Each choral group will perform separately before combining for a grand finale.